Sundance (<?xml:namespace prefix = st1 ns = "urn:schemas-microsoft-com:office:smarttags" />Fox River) cream paper 118gr., 21 X 23.5 cm., 64 pages. This edition contains two books bound in leather, one in Hebrew and one in English. 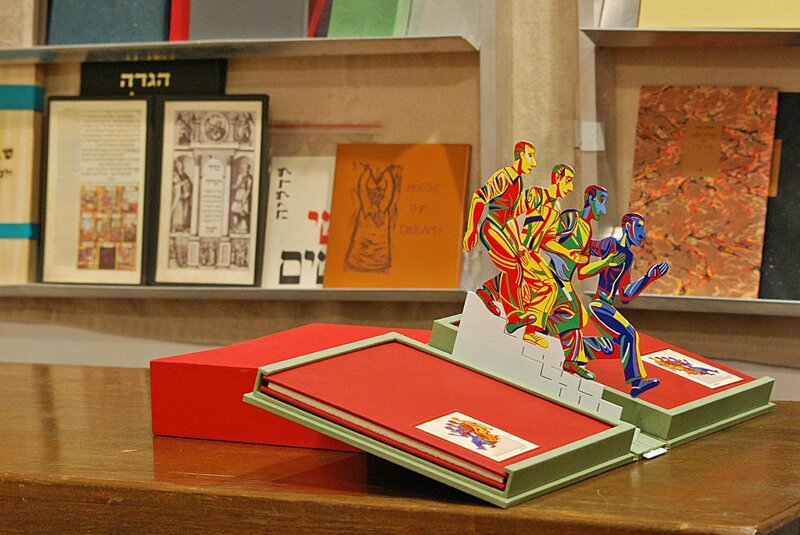 designed by the book artist Ido Agassi. 54 signed and numbered copies.